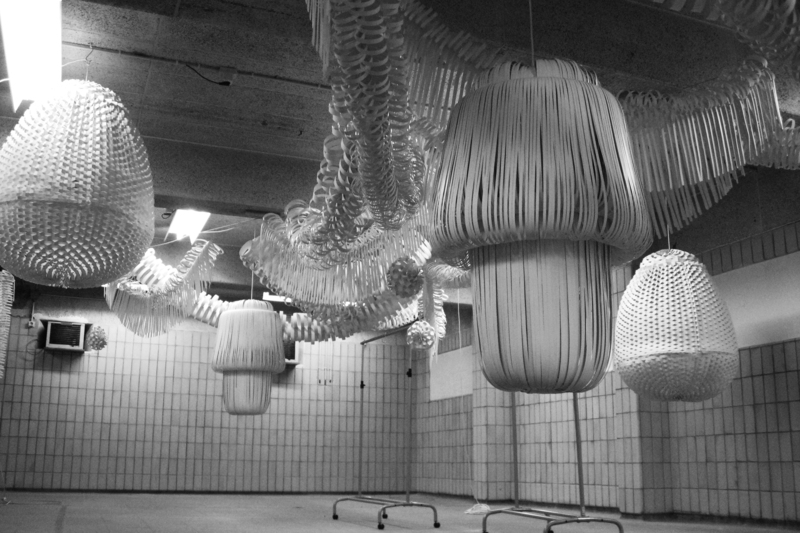 Paula's Paper Process project manifest itself in the form of four big handmade chandeliers combined with garlands. 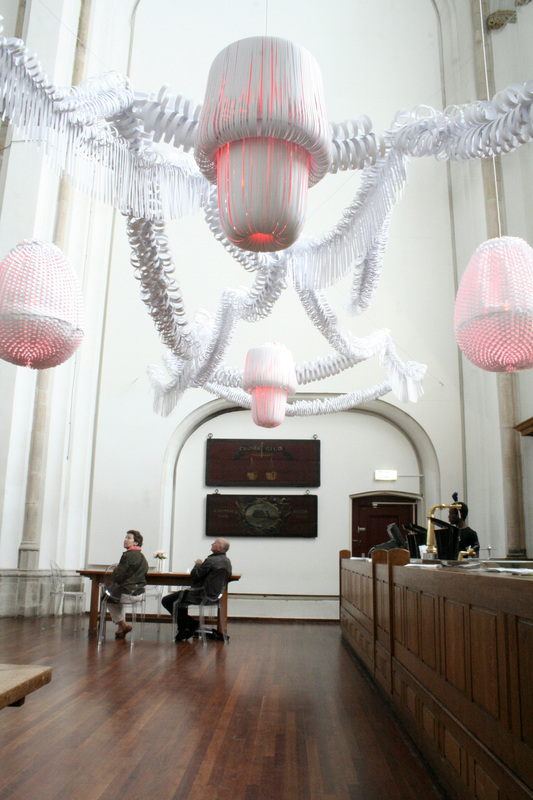 For the Arnhem Fashion Biennale in the Netherlands, I was asked by the creative director Piet Paris to design an installation at the main location, which took place in a beautiful white church. 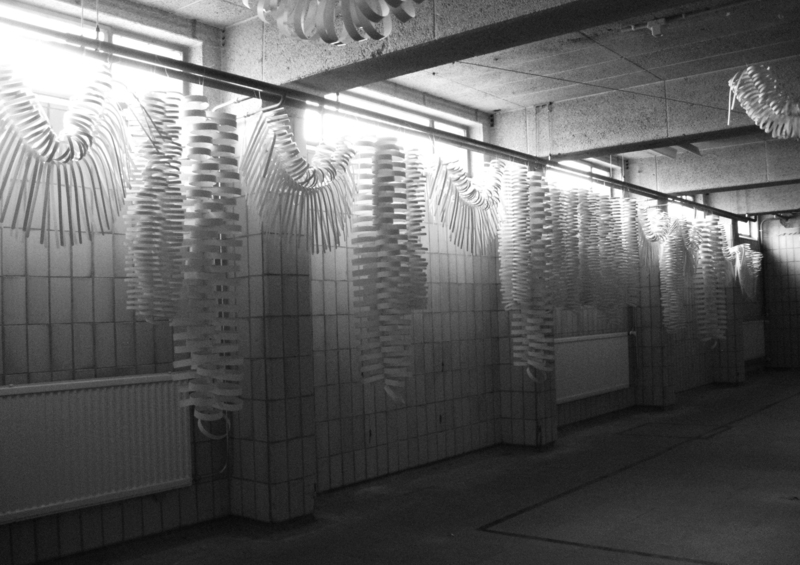 The project manifested itself in the form of four big handmade chandeliers combined with garlands. I created a festive atmosphere that would express the temporary character of the thirty days event by the use of white paper. Combined with red light the lights accentuated the spatial interior and the volume of the church.